Recently there have been numerous inquiries, from prospective patients as well as those patients that visit us at NYC Smile Design, about the radiation dosages that they are exposed to when they have their teeth x-rayed. 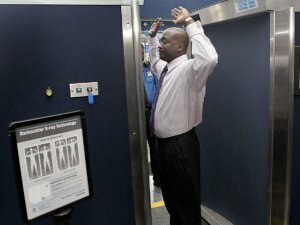 This topic is of great concern and recently, this has been highlighted by several newspapers including the New York Times, and US Today as TSA workers and passengers worry about radiation exposure. These concerns have been preceded by reports by organizations like National Council on Radiation Protection and Measurements, who released a report in 2009, on ionizing radiation that the population of the United States is exposed to. Therefore, this is a very important topic and needs to be clarified so that everyone understands the levels of ionizing radiation they are exposed to. 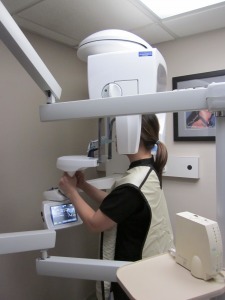 There is no doubt that X-Rays are indispensible and the benefits outweigh the potential risk. Exams and procedures that use radiation are necessary to accurately diagnosis disease and injury. In x-ray procedures, x-rays pass through the body to form pictures on a computer or television monitor which can be viewed. Modern x-ray imaging equipment are very sophisticated and are more sensitive than the previous models. This means that less radiation is required to get the same image or an even better image with less radiation exposure than the past. They are created to use the minimum amount of radiation necessary for a procedure. If you would like more information, you can see the estimation of typical doses for procedures at the RADAR Medical Procedure Radiation Dose Calculator. You can also contact or visit the website for the Health and Physics Society (HPS) who specialize in radiation safety. For further clarifications, you can call our office at NYC Smile Design, and our team will gladly help you in any way they can.